The REALTORS® Political Action Committee's contributions are considered "Hard Money" in that they are Hard dollars that are, voluntary, individual personal contributions from REALTORS® and can be used to directly support candidates. Any family member of anyone affiliated with any REALTOR® organization, including COCAR™, may contribute individually, corporate checks cannot be accepted. Hard Money is raised from individuals, not corporations. An individual may contribute up to $1,000 directly to a federal candidate per election and $5,000 to a PAC per year. A hard money Political Action Committee can contribute $5,000 to a federal candidate per election. RPAC contributions are split between National RPAC 30% (for federal candidates/issues) and State & Local RPAC 70% (for state and local candidates/ issues). Until the state PAC reaches its RPAC goal, 30% is sent to National RPAC to support federal candidates and is charged against your limits under 2 U.S.C. 441a. (applied against your federal campaign finance law contribution limit of $5,000 per year to RPAC.) Once a state PAC reaches its RPAC goal, it may elect to retain your entire contribution for use in supporting state and local candidates. The REALTORS PAC of Oklahoma, the local affiliate of the National Association of REALTORS® PAC, is classified as a Limited Political Action Committee by the Oklahoma Ethics Commission. A limited committee is one organized to make contributions to candidates, and may also may make independent expenditures or electioneering communications. The Oklahoma Ethics Commission has issued rules and a Guide to Political Action Committees. More information on the Oklahoma RPAC is at http://okrealtors.com/rpac. REALTOR®, Institute Affiliate (CCIM, SIOR, IREM, etc.) or Affiliate membership in OAR is required for participation in the Realtors PAC of Oklahoma. 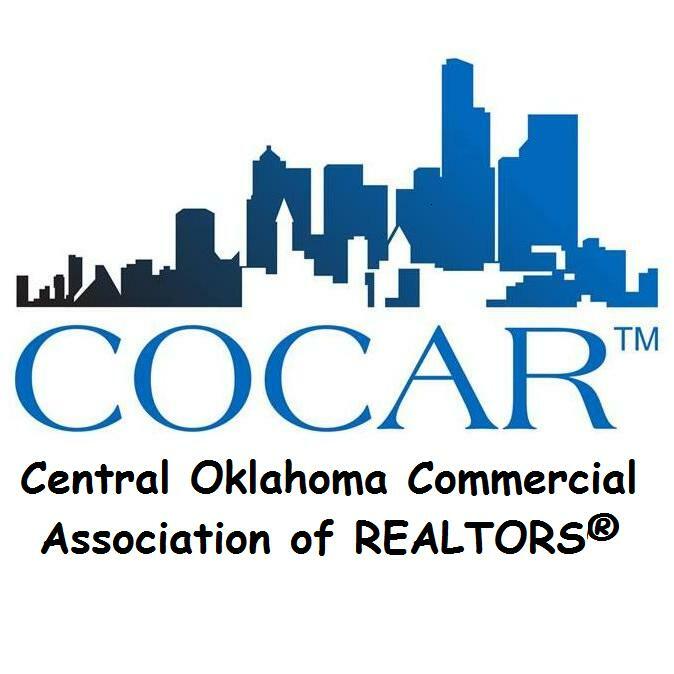 The COCAR™ Government Affairs Committee makes recommendations to the Realtors PAC of Oklahoma for distribution of our share of the Local PAC funds to local candidates. The NAR PAC operates the REALTORS® Action Center, which provides a variety of advocacy, education, and community outreach services for Local Boards. REALTOR® and Institute Affiliate Members (CCIM, SIOR, IREM, etc.) members may participate at the national level, with the NAR Midyear Legislative Meeting and Trade Expo in Washington DC being the primary plannery meeting. Contributions to RPAC are not deductible for federal income tax purposes. Contributions are voluntary and used for political purposes. The amounts are merely guidelines. The National Association of REALTORS® and its state and local associations will not favor or disadvantage any member because of the amount contributed, or a decision not to contribute. Your contribution is split between National RPAC 30% (for federal candidates/issues) and State & Local RPAC 70% (for state and local candidates/issues). Until your state PAC reaches its RPAC goal, 30% is sent to National RPAC to support federal candidates and is charged against your limits under 2 U.S.C. 441a. (applied against your federal campaign finance law contribution limit of $5,000 per year to RPAC.) Once a state PAC reaches its RPAC goal, it may elect to retain your entire contribution for use in supporting state and local candidates. The COCAR™ Advocacy/Government Affairs Committee also acts to recommend distribution of COCAR's share of RPAC funds. Between NAR's Government Affairs Program and its RPAC and Corporate ALLY Program, the Center for Responsive Politics has consistantly ranked the National Association of REALTORS® in the top 5 largest spenders in lobbying in the US,; in 2016 NAR was ranked second, after the US Chamber of Commerce. "REALTOR® Party" is the term the National Association of REALTORS® to uses to describe their nonpartisan advocacy efforts to protect property rights and to promote the industry. About 1/3 (or $40) of NAR dues are earmarked for REALTOR® Party activities. The activities sponsored represent on of the largest professional, nonpartisan advocacy groups in the country, with significant presence at the federal, state, and local levels. Candidates who receive our support are not selected based on their political party or ideology, but solely on their support of real estate issues. Participation in REALTOR® Party activities at the local level does not require REALTOR® Membership in COCAR™, but Associate membership is minimally suggested. Members of the COCAR™ Advocacy/Government Affairs Committee are also responsible for directing COCAR™ local REALTOR® Party activities as well as the distribution of COCAR's share of RPAC funds to local candidates. Since 1969 REALTORS® have been independently raising and spending money to elect federal, state, and local candidates who understand and support the interests of the real estate community. While the NAR has a significant Government Advocacy and Education program, this money ‹comes from voluntary contributions separate from member dues. Today, money is raised using two separate vehcles, the REALTORS® Political Action Committee (RPAC) which is a hard money fund used to directly support candidates, and the CORPORATE Ally Program (CAP) which is a soft money Super-Pac. Real Estate Industry professionals must be politically active. If REALTORS® do not speak out, get involved and help shape the discussion, someone else will. Contributions designated for used in Candidate Independent Expenditures are deposited and reported as a contribution to the NAR Congressional Fund. These funds are used to support federal REALTOR® Champions in Congress; the support is independent of a candidate's campaign committee. In addition, NAR will allocate an amount equal to 50% of your contribution to support, state, and local Champions in Oklahoma. Contributions designated for use in Issue Advocacy Campaigns are used by NAR in connection with its advocacy of federal issues (50%) as well as state & local issues (50%). Soft Dollars (corporate contributions) cannot be contributed directly to federal candidates, and in most states cannot be contributed to state or local candidates. Federal Election Commission regulations define "Independent" expenditures as expenditures for a communication "expressly advocating the election or defeat of clearly identified candidate that is not made in cooperation, consultation, or concert with, or at the request or suggestion of, a dandidate, a dandidate's authrozed committee, or their agents, or a political party or its agents." NAR's policy is to only participate in positive independent expenditures and advocacy campaigns, and will not allocate funds to campaings that support goals contrary to NAR Policies. Corporate Executives or other company employees soliciting funds for use in the Corporate Ally Program, who volunteer and do not use company time, and do not use corporate resources, do not need to report their efforts. Direct expenses, including the cost of stationary, postage, and other supplies used in distributiong solicitation materials, or direct expenses associatied with conducting meetings or events to solicite such contributions. Indirect expenses, including in-kind or indirect costs of compensation paid to corporate employees engaged on company time to create and distribute Corporate Ally Program materials related to Candidate Independent Expenditures. Employees using company resources, should record the amount of their time spent on such activities, an appropriate value should be assigned to that time based on the compensation paid to those various employees, and those amounts, plus any other direct out of pocket costs should be reported to NAR at the time expenses are incurred. Conversely, uncompensated volunteer time by employees not using company resources does not constitute reportable contributions. NAR Also provides for Independent Expenditure Requests and Grants, independent of RPAC and Corporate Ally Programs, funded through NAR Dues. These expenditures include Issue Oriented Campaigns, electioneering, and other community outreach programs. Most of these grant requests must be iniitated through a Local REALTOR® Board, in our case COCAR™ Outreach/Research and Advocacy/Government Affairs Committees . The REALTOR® Party's Super-Pac is called the Corporate ALLY Program; they are advocacy fundraising programs to raise soft dollars. Soft dollars are corporate dollars and can be used in independent expenditure campaigns to support candidates. Soft dollars cannot be contributed directly to federal candidates, or to state or local candidates in some states. The Federal Election Commission Regulations define independent expenditure as expenditure for a communication "expressly advocating the election or defeat of a clearly identified candidate that is not made in cooperation, consultation, or concert with, or at the request or suggestion of, a candidate, a candidate's authorized committee, or their agents, or a political party or its agents." NAR's policy is to only participate in positive independent expenditure campaigns that support NAR's positions on the topic. "Candidate Independent Expenditures" to support specific campaigns, but not corrdinated with the campaign. Note: Some corporate charters preclude their spending of corporate funds to support candidates. Distribution checks for local issues and local independent campaigns are written by NAR affiliated organizations, with contributor preferences considered. Corporate ALLY Program may only accept corporate checks from any corporation, not personal checks. Contributions to the NAR Corporate Ally program are split 50% Local, and 50% NAR, with NAR's portion being used to suppliment NAR's local, state, and national independent campaign & issues programs.